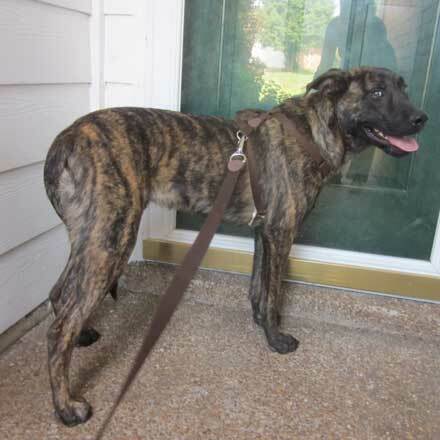 Chief is an eight-month-old Mountain Cur who weighs about 50 lbs. He is shy at first but does warm up. He loves other dogs and gets along fine with cats. Chief is housebroken and crate-trained. He is heartworm negative, up-to-date on vaccinations, and neutered. This would make a great dog for a family with older kids – small children might scare him in the initial stages of introduction.